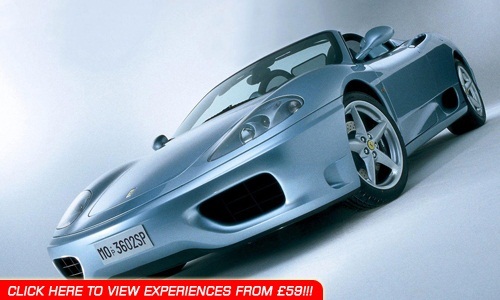 Ferrari Driving days from £119 including Silverstone. The Ferrari 360 was the first truly great modern Ferrari. With an awesome high revving 3.6 litre V8, it doesn't just look great it goes as every Ferrari should. The 360 Modena and the 360 Spider, convertible, are both stunning cars which when you drive you will experience the true Ferrari passion and excitement. You can drive a Ferrari 360 at lots of locations throughout the UK, even at Silverstone race circuit. You will get full instructions, and tips on getting the most out of the driving experience of a Ferrari on a race track.